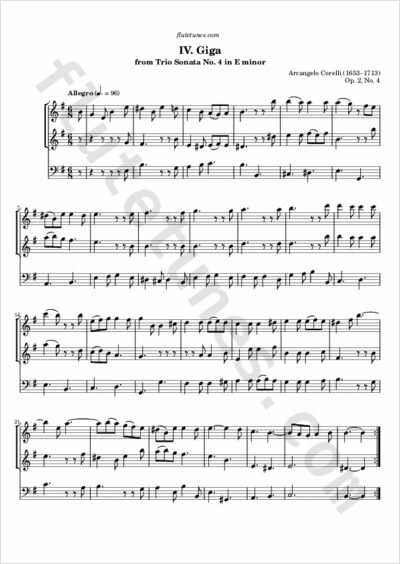 This giga is the fourth and final movement of Italian Baroque composer Arcangelo Corelli's Trio Sonata No. 4 in E minor, published in 1685. Corelli was a violinist, and this sonata was originally scored for two violins and continuo; however, it can be played with little or no modification by two modern flutes, the only potential issue being the two low B's near the end.